"Escorpion And The Red Hand"
10k needs a moment. Since the season properly began (not including the flashback opener, in other words), he’s been Murphy’s pawn, trapped within the infected state that Murphy’s bite condemns him. It’s made the character unable to stand on his own, because despite the ability to think and feel for himself, losing control of his actions to Murphy has made him unreliable, narratively. He could do anything at any moment, and that weakens our ability to anticipate his actions. It doesn’t mean we can’t understand or empathize with him—his realization last week about his predicament was tragic—but it means he’s not a wholly coherent character, because he’s not coherent to himself. 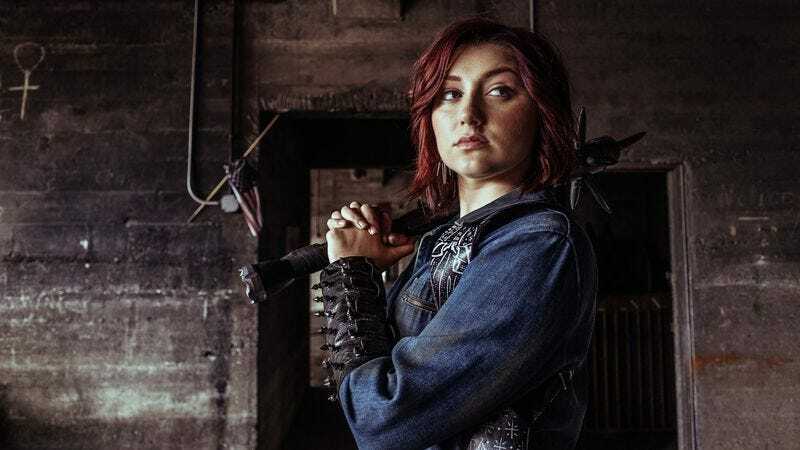 Difficult actions defined this episode, one of those rare Z Nation installments that manages to create some real pathos amid the lunacy and sight gags (that can sometimes induce actual gagging). Outside of 10k, the other character moments this week belonged to Hector, who is learning he can’t outrun his past as El Scorpion. His refrain since joining the group has been consistent: He knows he deserves to die for his past actions, but he wants to put it behind him. The discovery of an imposter Escorpion, even one who remains unseen, is the catalyst for Hector confronting his demons head-on, rather than trying to put them in his rear view. The past is never done with us, and we can never be other than who we are. All we can do is continuously negotiate our identities, finding a way to move forward without cutting the cord on our former selves, no matter how distasteful they may be. As always, Warren cuts through the hemming and hawing with the right perspective: “I don’t need a saint, or a lover. I need a killer.” Living another day is the price you pay for carrying on with the knowledge that you can’t be someone else entirely and still survive. Her “it’s all about the struggle” speech may be a cliche, but it’s also true. Lest anyone think all the internal drama meant their story was dull, there were zombies with bombs strapped to their bodies to keep things lively. The siege of the toy factory by the Red Hand made for a strong (if fitfully inconsistent) encounter. The Red Hand are new, and the decision to keep them completely offscreen and unseen by both the characters and the audience gives them an air of inscrutability. They seem to only attack from afar, even though we know that’s not true—we have the dangling entrails of four guys hanging from an overpass to prove it. All we get is a brief story from a woman who believes this false Escorpion and his group to be protectors, good guys. And sure, once we learn the men who accuse the Red Hand of being monsters supposedly killed innocent people to get the food hidden in the factory (the leader does himself no favors with that kill-or-be-killed spiel), it all becomes even more nebulous. But the long-distance assault made it all the more disorienting for Warren and for us, as the unseen threat disappeared as suddenly as it arrived. But the grossest and most squirm-inducing subplot his week goes to Doc, Addy, and Sun, who only get a few minutes of screen time, but spend it subduing, sedating, and finally briefly knocking Addy out, so that Sun can rip out her septic tooth with pliers. It was a sudden development that came out of left field (Addy’s damaged tooth is about to kill her? 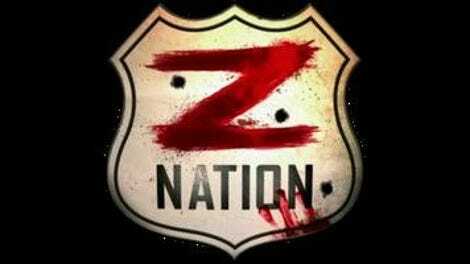 Um, okay, sure), but immediately entered the grand tradition of Z Nation making its viewers watch deeply unpleasant things for fun. Sure, it meant poor Addy was again sidelined for the majority of an episode, but it was a hell of a scene. The setup was good, too, with Addy’s side-eye at Doc when he asks, “You OK to fight?” conveying the likely mindset of those watching at home as well. The idea of a false Escorpion out there could be just the storyline Hector needs. He’s not exactly proving himself a badass fighter lately, so maybe something that brings out his inner killer will help us become more invested in someone still largely a cipher, personality-wise. Way to escape, 10k! We were all rooting for you. What is with Addy’s weird outfits, lately? I guess you take what you can get in the apocalypse. Can we all agree the kill of the week was Warren slicing the Z’s head into three pieces during the opening underpass fight? That was great.